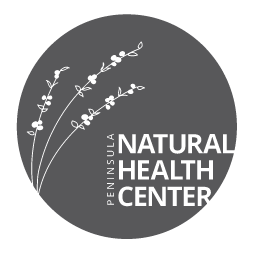 At Peninsula Natural Health Center we are passionate about offering resources to support our patients on their path to optimal wellness! That is why we have created several resources that may peak your interest while inspiring and expanding your knowledge of healthy lifestyles. Dr. Anna Colombini created her blog to provide wellness tips on fitness, nourishment, finding balance and seasonal health. She has many recipes that are simple and practical while being rich in flavor and color. Subscribe to her wellness blog, and receive her many great tips and recipes delivered by email. Dr. Anna Colombini also hosts wholefood cooking classes that will inspire your olfactory and palate combined. She loves supporting others in discovering their own style of cooking while using fresh, local wholefood ingredients. She believes strongly in the quote by Hippocrates, “Let food be thy medicine and medicine be thy food.” By offering these classes, she hopes to empower and inspire the individual to continue their own discovery of natural wholefoods cooking.